For the big book summer challenge[ hosted by bookbybook], I planned on reading only one book. 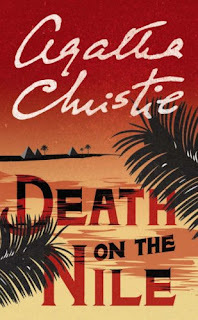 That book was "Death on the Nile" by Agatha Christie. As mentioned in my last post, the book was 416 pages long. Big, but not too big. It was an AMAZING BOOK!!!! Oh wow! I absolutely loved the feeling of befuddlement that I felt throughout the whole book. 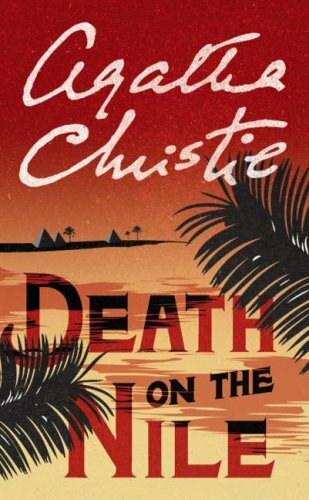 When Poirot started to explain who the murderer was [ or in this case, who the murderers were], I realized that as a reader, I was a part of the audience that was listening intently to Poirot's speech. I love how Christie creates characters who seem so unlikely to do anything harmful, who seem so mild and gentle, but turn out to be murderers. I think that the beginning of the book was slightly confusing for me, because I couldn't remember the names of all the characters, and kept going back to the first chapter. I preferfed the ending of the book to the beginning. As I mentioned earlier, this was an AMAZING BOOK!!! Nice review! I really would love to read some Agatha Christie novels again - it's been years! And I don't think I ever read this one. It's a really great one, you should try reading it. I might read another book, I'll just have to find a good one.